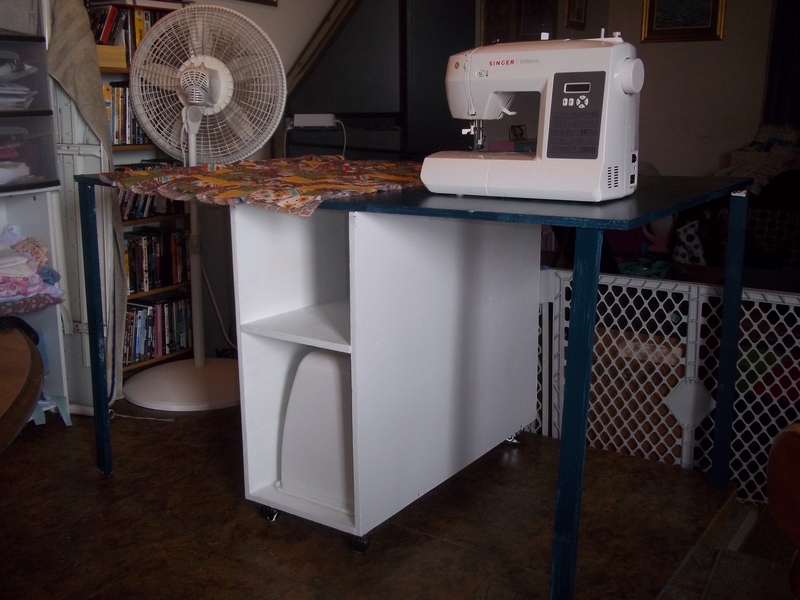 Sewing Table For Small Spaces | Super Stay At Home Mommy! I don’t know about you guys, but I don’t have a whole lot of extra room in my house for my sewing hobby. I would LOVE to have a whole room to dedicate to sewing and crafts, but that’s just not possible right now. So, I saw this great table on Pinterest (I’m hooked!! ), and talked my dear husband into making it for me. Click on the link and take a look, it walks you through step-by-step exactly how to make your own! And talk about a space saver! The sides of the table fold down for easy storage, and when set up the table offers TONS of workspace. 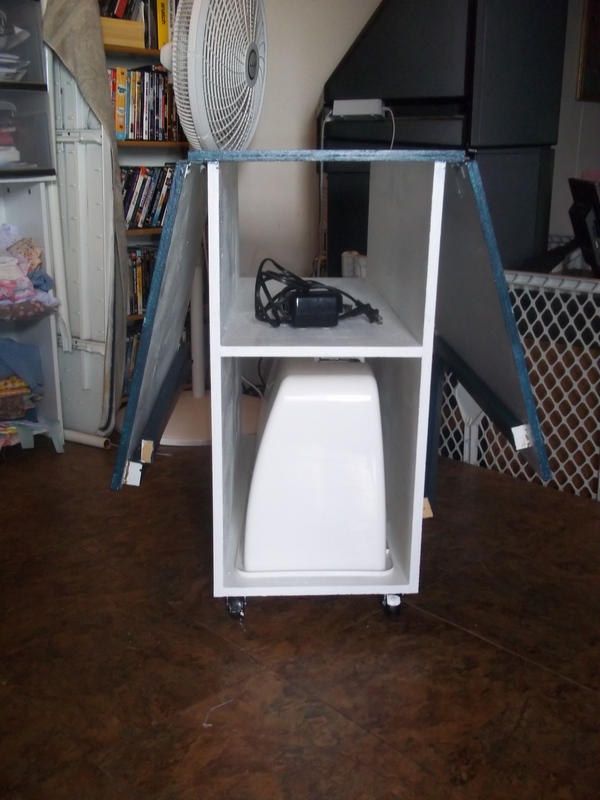 Not to mention, the shelves offer a perfect spot for sewing machine storage. With the sides folded down. My husband used some spring hinges on the side, so it doesn't quite lay flat, but yours will if you use regular hinges. And here it is all set up and ready to go! Look at all that great workspace! I'm so excited to get sewing! !